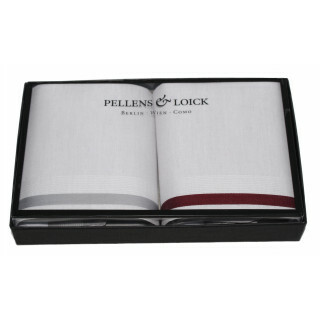 Luxury handkerchiefs by Pellens & Loick n a gift box. 2 perfect light grey men's handkerchiefs with a white atlas-edge. One with a bordeaux red stripe and one with a grey stripe.